A great bag, at a great price. Very warm. I bought this bag from Sierra Trading with the deal flyer discount, and it came in under $100. A very nice bag. I pack it in a large Alps Mountaineering compression bag. A little heavy, and packs down large. The Alps compression bag allows it to be lashed to a pack bottom. One of two long 20 degree bags I own. The other is the Marmot Sorcerer. This is the nicer bag. The Mistral was my first mummy bag. I made the purchase around 2001 or before (so, I'm guessing it's not the version for sale today). My purchase was based on the fact that I thought I would be getting an inexpensive, do-it-all bag. I thought I could take it car camping and when I was ready to go backpacking it would make the transition. I thought I could use it (because of the 20 deg f. temperature rating) in a gazillion situations! And it was a mummy! I thought, "I'm a pro!" Turns out, I was a moron! In sub-freezing temps or after the bag was more than a year old in temps around 40 deg. f. it kept me from dying of hypothermia -- and while not dying is a great comfort -- I would wake every couple of hours or so because of the uncomfortable cold. I am also so cheap, that I am only now (after how many 4 a.m.'s thinking, "it'll be better next time?") looking at purchasing another bag. The loss of "loft" is partially my fault; I stored the bag in its stuff sack...you know...out of the way, in the closet. Apparently one should store a bag laying comfortably splayed at its full length -- in its own temperature-controlled room and served freshly squeeze juice, I imagine. Live and learn. Seriously, though, synthetic fills lose loft quicker than down, and -- as you might imagine -- most cheaper synthetics lose loft quicker than most less-cheaper ones, and squishing bags up (like, in a stuff sack) will -- after time -- squish their stuffing permanently. Then they ain't warm anymore. And now the bag is officially old, so it wouldn't be as warm no matter what was inside. Stuffing aside, however, when rolled, this bag is HUGE (approx 11 x 22. Inches. No kidding.). I got a compression sack for it, and it's still an enormous watermelon. It takes up a not insignificant portion of a 65 liter backpack. It's about as heavy as I might expect (lighter than my wife's non-mummy bag -- I was so smug -- but heavier than down), which is to say it's heavy, but competitive for synthetic mummies. 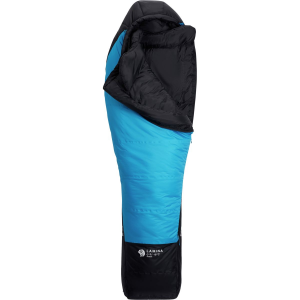 But the stuffed size means it is totally inappropriate for backpacking, even if it were warm to its supposed temperature rating. Even for car camping, which I do generally with company, it doesn't really work. Can I mate it with my wife's rectangular bag? Of course not. Can I squeeze my son in, if it gets too cold? Nope. Now that mummy shape is a problem. 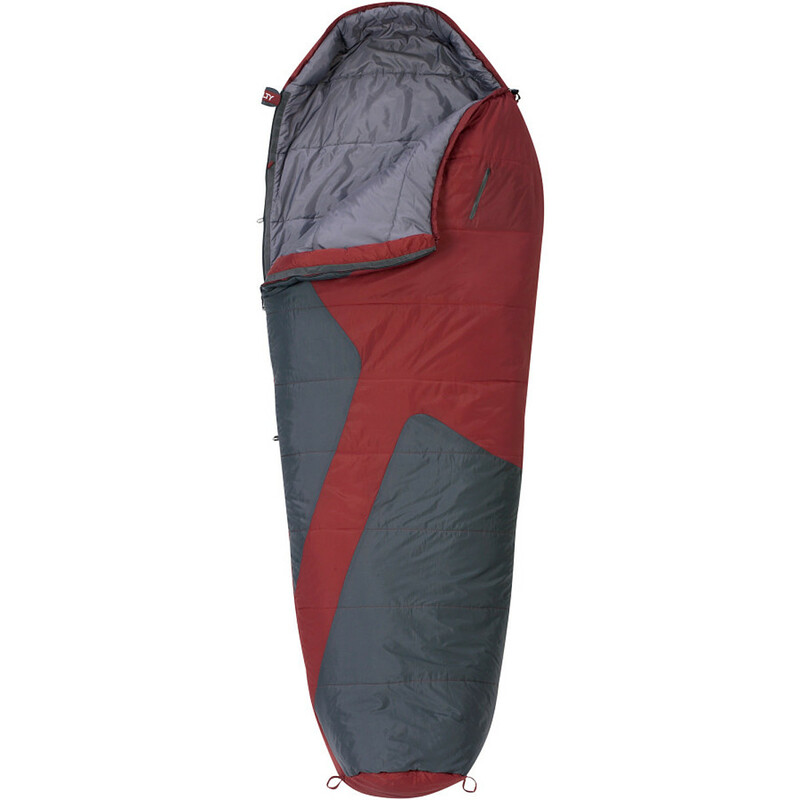 If you car camp once a year, alone, in warmer temperatures, and have space to store this bag outside of its stuff sack, then this might be a bargain. Maybe. If this is you, though, you hardly need anything other than a rectangular bag. And generally, those are even cheaper. 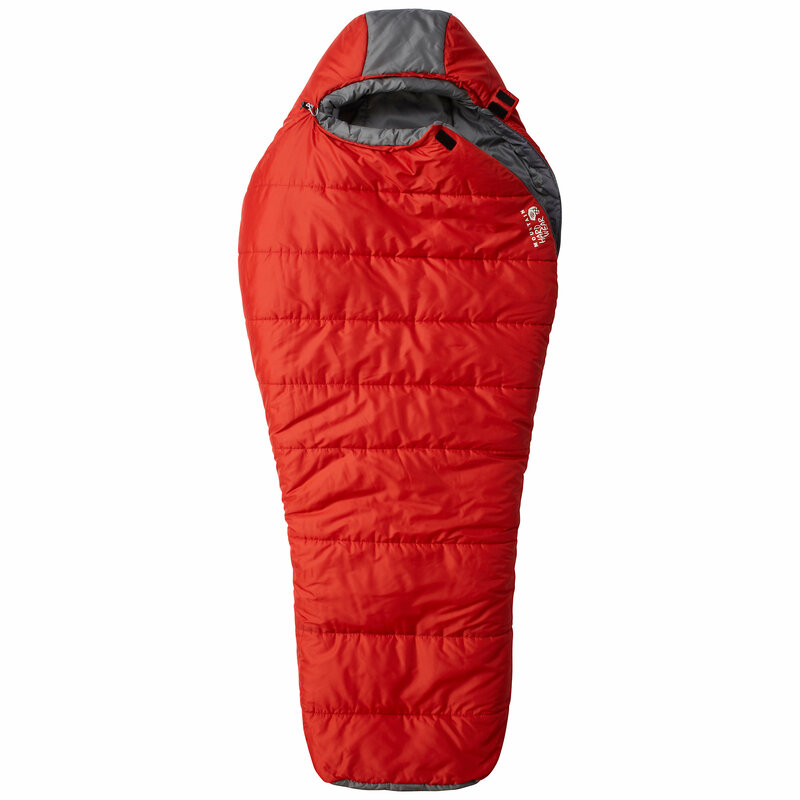 I love this sleeping bag. It's got a real quality feel and it's very soft and cozy. It doesn't get that cold here in Texas, but it gets windy and stormy. It kept me warm on a 50 or so degree windy night with lots of wind blowing through the tent. I sleep very cold, so I was impressed that I stayed cozy all night with all that wind and humidity. I also didn't get too warm on a normal (70s) night sleeping with it, so I'm very happy with it. Bought the LARGE size for sleeping in my toy box with the furnace set to 55 to conserve gas and battery or in the back of the pickup when I'm car camping in the desert and it isn't going to get much below 40. Using my rule of thumb for cheap bags that you add 20 degrees to the specified temp rating to get the "you won't be shivering" rating, it works as expected. Has plenty of room, cost $40 and hasn't lost too much loft in the 20 to 30 nights I have slept in it. 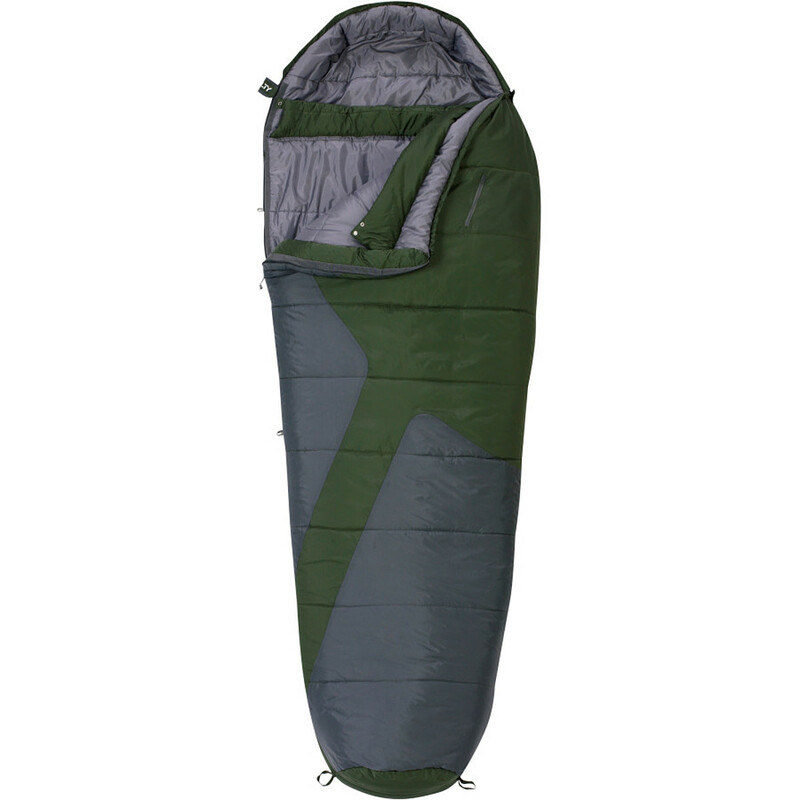 If you really have to sleep in sub-zero temps buy an EN rated bag and only add 10 degrees to the specified temp rating. 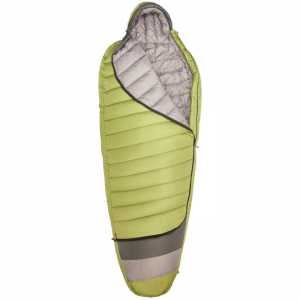 Generally, Kelty makes decent stuff for the dollars and this is no exception. I bought this bag because I wanted a cheap synthetic bag for car camping and heavy abuse. I've owned many very pricey down bags which I use backpacking and climbing, but didn't want to subject to the tortures of car camping: bonfires, muddy dogs, etc. The Mistral was the ticket. The proprietary synthetic insulation is very poor quality and lost loft almost instantaneously--far faster than bags with Polarguard, for instance. Still, the bag was usable a couple of summers for warm weather use, and when the dog chewed the zipper off, I was able to laugh about it, since the bag cost next to nothing. Good bag..it will keep you warm. There is a downside, it is a little heavy and larger than you may want. I used on one trip and it go a little damp, but if able to air out, it can dry off quickly. Overall for price good bag, but if you search, you may be able to find a lighter and smaller bag for 10 bucks more. Probably worth the 10 extra dollars. I recently bought the Kelty Mistral. I have got a chance to use it while backpacking in Grason Highlands, Va. It got down to about 25+- degrees w/windchill. I was plenty warm until my cheap #*&@ tent blew down on me. It got plenty wet, but dried out in the morning while I was hiking. We moved our tent to a valley the second night where there was no wind. I stayed very warm while the temperature got a good deal below freezing. My only complant is that it does not pack small. You will need a compression sack. Overall it is a great bag, a tad on the heavy side, but an awesome bag for the price. 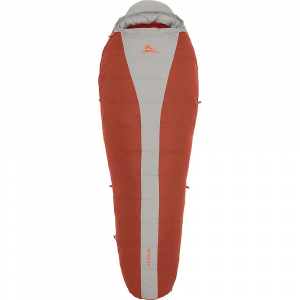 The Kelty Mistral 20 is not available from the stores we monitor. It was last seen January 21, 2019	at REI.